In regards to any issues involving teeth and supporting tissues, dental emergency services are vital for your dental wellbeing. You do not have to experience excruciating pain to seek care and support, but any issue pertaining dental health has to be attended to by a professional before the problem gets out of hand. 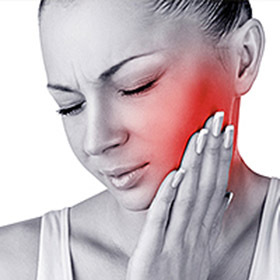 In most cases, pangs of pain, whether light or unbearable, might indicate a serious underlying dental condition that warrants immediate attention. The sources of discomfort can be the surrounding tissues, a tooth, or another source like in the case of the orofacial pain and toothache. An emergency dentist can diagnose the problem and offer the much-needed relief, at least, for the time being. Due to the critical nature of the dental system, emergency care can preserve teeth and save you costly dental interventions when delays cause irreversible damages. As a resident of Houston TX, you have to keep in mind the fact that the Westwood Dental is at your service on a 24-hour basis. There is the emergency dentist Houston TX center if you reside in either Downtown, Texas Medical Center, Greenway Plaza, Midtown, Energy Corridor, Greenspoint, Westchase, or Memorial City and the adjacent communities. Additionally, Westwood Dental services for the southeast Houston–The Woodlands–Sugarland metropolitan area are available for your need as the emergency dentist Sugarland TX center. The infections can cause severe pain on the exposed dentine causing a disturbing sharp pain. If unattended, swellings can occur and worsen with time on the peri-radicular tissues and/or the dental pulp. This can affect people with recent dental restorations or other trauma. Dental injuries can occur due to freaky accidents such as slip and falls, violence and falling objects injuries. The immediate result may be an injury on soft and hard tissues of the face or oral cavity. An emergency dentist may give a diagnosis of either a crown infraction, root fracture or both if the trauma affects the hard tissues. On the other hand, periodontal tissues trauma might result in a concussion, subluxation, lateral luxation, avulsion or any other serious conditions. On the event that a dental restoration falls out or weakens during eating, talking, sleeping or any other activity, emergency help can be critical for a patient. Urgent professional intervention can reverse the effects of the trauma and offer relief from blood loss, pain, and discomfort. Oral sedation and Nitrous Oxide are some of the methods that are used to provide pain relief and usher in the journey of world-class dental care for as long as you are in need of dental care. Nobody has control over the daily life events. Accidents, therefore, can occur in unexplained probability as no one lives in isolation. This should not make you lock yourself up in a bunker and leave your home only when the streets are empty: Live your life to the full! You have to make the best of your life, for instance by enjoying a rugby game with friends at the Discovery Green in Downtown or the Houston Arboretum and Nature Center, knowing that quality emergency dental care covers your needs. Westwood Dental has been offering Emergency Dental Services at our 5 convenient locations for over 30 years. We currently serve the Houston and Sugar Land area and provide emergency dental services in 77063, 77478, 77040, 77055, and 77096 areas of Houston.